OT: Crocker, 10 pts., Sears, 8 pts. Crocker, 13 pts., Sherman, 12 pts. Bearse, 10 pts., Nickerson, 7 pts. 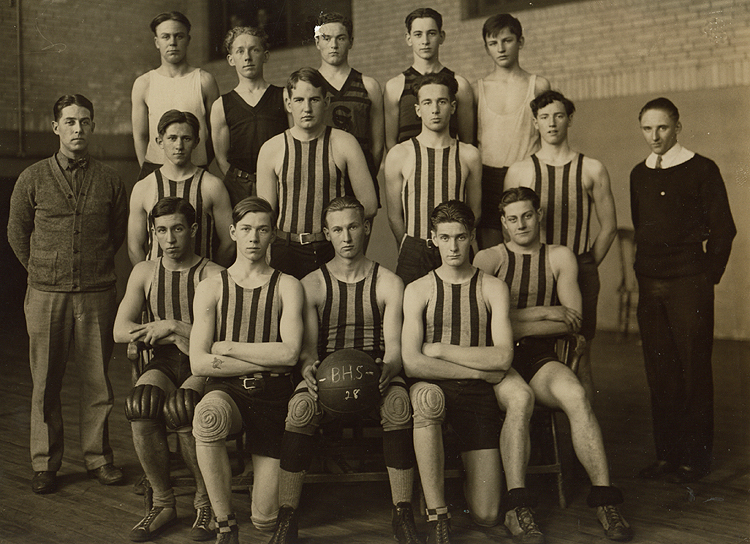 *Barred from further participation in athletics, Feb. 9, 1928, at the conclusion of the season. Source: Coach Bangs' personal diary.